Starting early next month, Microsoft Security Essentials, Redmond’s anti-malware service for Windows PCs, will be free for small businesses to install on up to 10 PCs. Of course, Security Essentials, which replaced Microsoft’s One Care suite last year, has been free from the start. What’s new is that the program’s licensing agreement has been altered to allow a small business to legally run the security software on up to 10 computers. For small shops struggling with tight budgets, free malware protection is a plus. “Many consumers and an increasing number of small businesses are either unwilling or unable to pay the ongoing subscription costs for the security suite solutions that come on their PCs,” Microsoft’s Eric Foster wrote recently on the Windows Security Blog. 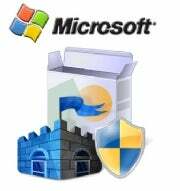 Microsoft Security Essentials (MSE) uses the same core anti-malware engine found in the company’s enterprise software. It has received favorable reviews from independent security software testing agencies, and from computer publications such as PCWorld. As Infoworld’s J. Peter Bruzzese noted in a recent blog, MSE has performed well in tests conducted by AV-Test.org, an independent agency that rates the speed and effectiveness of leading security products. Security Essentials’ usability score was very high--slightly better, in fact, than that of AVG Internet Security 9.0 and Panda Internet Security 2010. Its protection and repair rankings, however, were a notch below those of AVG, F-Secure Internet Security 2010, Kaspersky Internet Security 2010, Panda, and Symantec Norton Internet Security 2010. “The bottom line: Microsoft Security Essentials has me protected,” Bruzzese wrote. Contact Jeff Bertolucci via Twitter: (@jbertolucci or at jbertolucci.blogspot.com.